Plug Me In: Smart. Connected. Electrified. ‍Sponsorship opportunities are available. Click the "Get Tickets" button to pay online. Please contact Jill Vassar (210-904-2682), Director of Development and Partnerships, with any questions or if you need an invoice. Hurricanes, cyberattacks--what's next? What should the smart business leader be doing now to prepare? Attend EPIcenter's Summit, where industry execs, utility leaders, and business continuity experts will open your eyes to the technologies available to enable business resilience in the face of disaster. EPIcenter's Conference Center launched in June 2017 with a Summit on the Internet of Things. 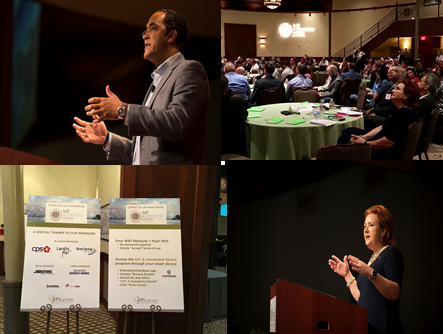 Called "IoT: A Connected World," more than 200 leading business professionals gained an understanding of this innovative technology platform that is changing the way business is conducted.